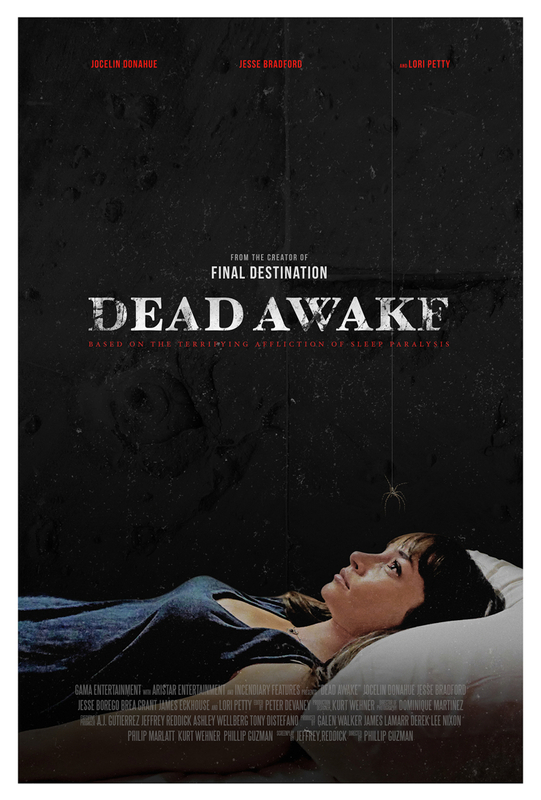 “Dead Awake” is a horror film written by Final Destination creator, Jeffrey Reddick. The film follows a young woman who must save herself and her friends from an ancient evil that stalks its victims through the real-life phenomenon of sleep paralysis. 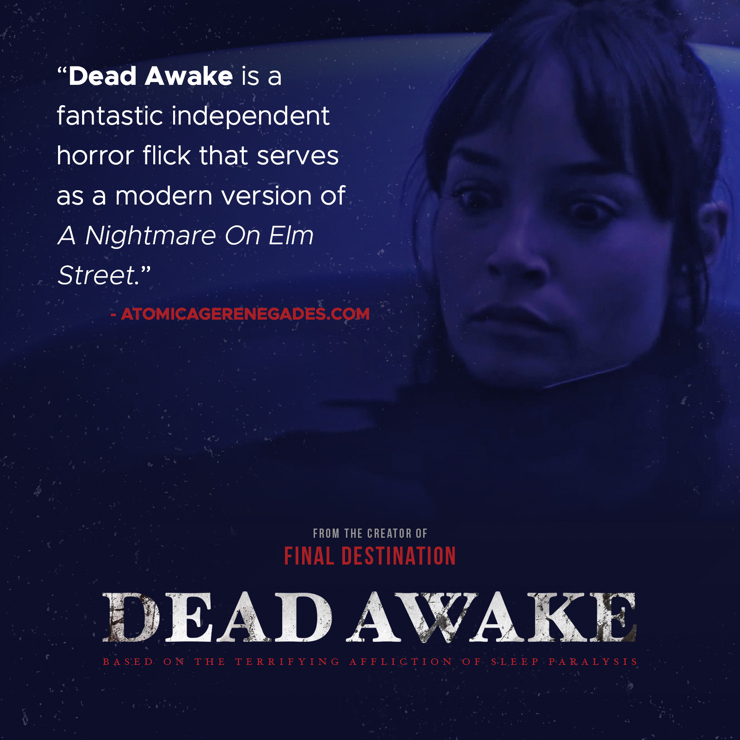 I was hired to design the key art for the film and also design, develop and manage the website, AreYouDeadAwake.com. The website has the ability to receive submissions from users sharing their terrifying sleep paralysis experiences. I worked closely with the writer/creator, Jeffrey, to bringh is vision of the one sheet to life. There is a scene in the film where the character, Kate (Jocelin Donahue), is having a sleep paralysis episode and she sees a spider slide down from th ceiling and land on her eye. That is the emotion we wanted to capture. not only did I handle the website and keyart, I was also asked to help with promotional graphics once reviews hit the internet.